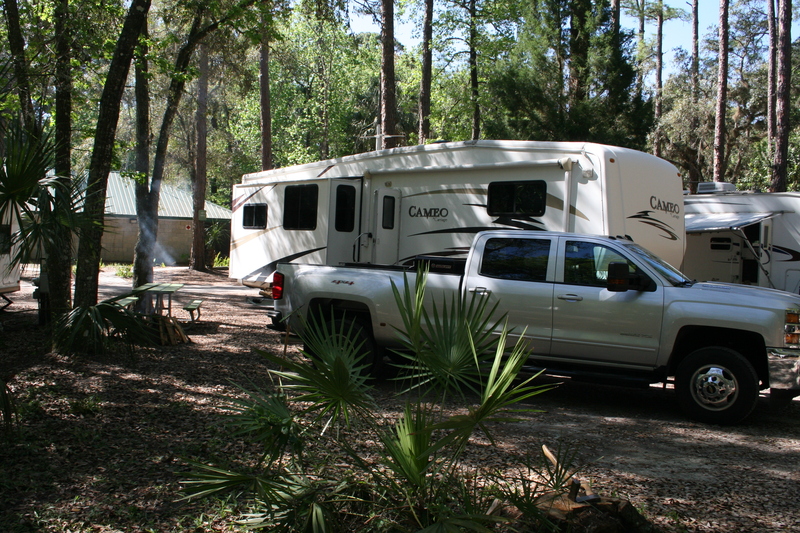 We left Bulow RV Resort on the east coast of Florida on Monday, March 21, 2016 at 10 AM and traveled to the west coast north of Tampa, Florida. 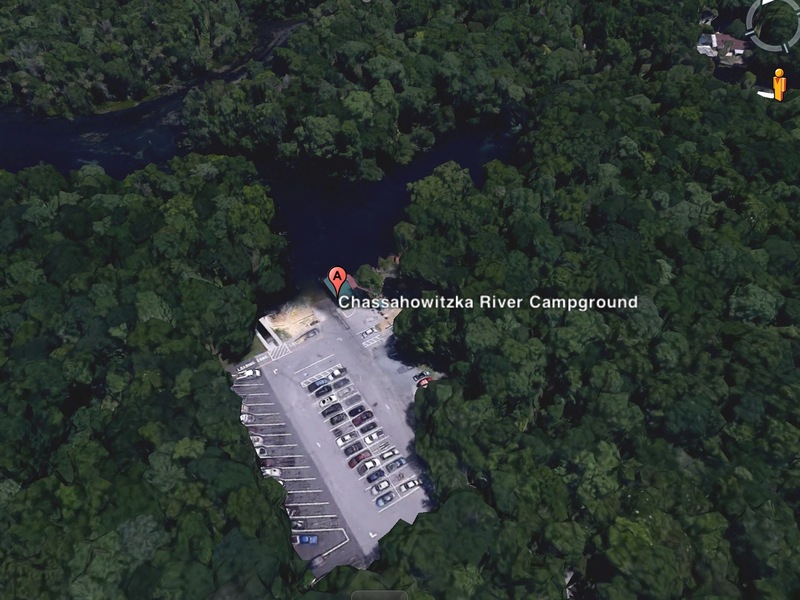 We arrived at Chassahowitzka River Campground near Homosassa, Florida at 2:30 PM and set up camp. This was a nice campground with trees and a campfire ring. We tend to really like places like this. 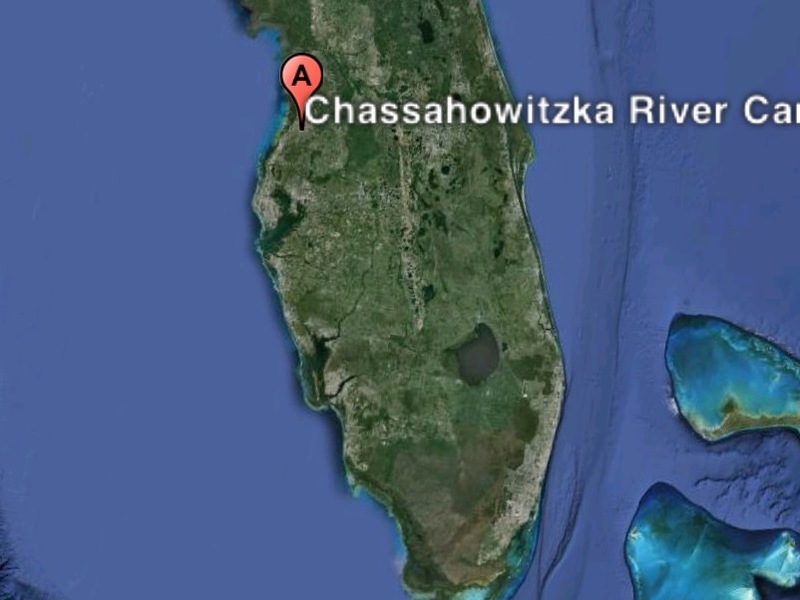 Chassahowtizka River Campground is on the west coast of Florida. 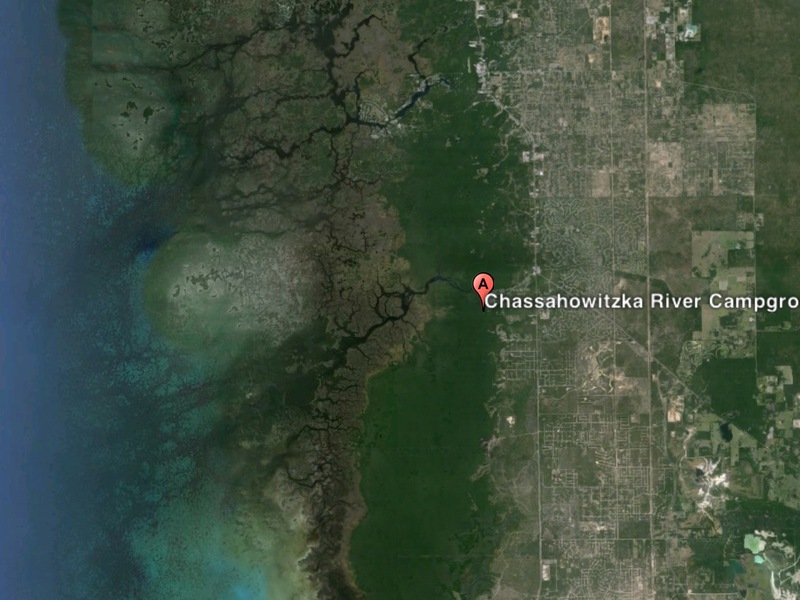 It sits a little inland on the Chassahowitzka River. (Imagine that!) This is a Google Earth image. You won’t find white sandy beaches in this area of Florida. The coastline here has trees and rivers that meander to the Gulf. The owners told us that manatee sometime swim up the river during the winter months just as they do at Blue Springs State Park on the east coast of Florida. There is a spring that feeds the river near the area of the boat ramp. Obviously, it was warm enough when we camped at Chassahowitzka that the manatees weren’t around that much anymore. Another Google Earth image showing you all the tress and rivers flowing out to the Gulf. We camped in site 40. It was very convenient to the laundry facilities (very reasonable) and just a short walk to the boat ramp. You can see the picnic table for our site, as well as the laundry facilities in the background. The following day, we walked a short distance to the dock and boat ramp of the campground. There was a lot of activity. It’s here where you can rent a canoe or kayak and paddle your way down the river (if so inclined). Boaters can launch their boats from this site and fish. Actually, you can fish from the dock. We saw fish leaping out of the water for no apparent reason, but they were easily seen. It was a somewhat unique experience. And, there were birds perching in trees all over the place. It was just a neat place. A Google Earth view of the parking lot for the boat ramp. We sat under a shelter where the “A” is located in this photo. It was an absolutely beautiful day, great for watching flying fish and flying birds. On Wednesday, friends from back home came to visit us. They winter in Florida, too, not too far from Tampa. We enjoyed just being outside in wonderful weather and catching up. We decided to drive into Homosassa, Florida to eat. Our friends had heard of this place called The Freezer Tiki Bar. It looks like the place was once was a meat freezer. Now, it resembles a sports bar packed with people. And I do mean packed. Customers get in line to place their food and drink order at the bar and hopefully, another person from their party hunts for an open table. I bet my husband stood in line for 20 to 30 minutes just to place the order. Luckily, we did find a table (that was no mean feat). The day we were there, the place had a ribeye steak special, but I suspect it’s frequently this busy. It looks like a lot of locals like to come here. We all had seafood, and yes, the food was very good. We returned to the RV and enjoyed a campfire for the rest of the evening. It was a really enjoyable day and I wouldn’t be at all surprised if we return here sometime in the next few years.